As their name suggests, embryonic stem cells (ESCs) are stem cells that are derived from embryos. If we wanted to be more scientific, we would say that ESCs are pluripotent stem cells derived from a blastocyst, an embryo in a very early stage (4-5 days of age). A blastocyst is consisted of 50-150 cells. ESCs measure approximately 14μm in diameter. As mentioned before, ESCs are extracted from blastocysts. These blastocysts are typically taken from the surplus of in vitro fertilisation clinics. In simple words, they are "unwanted" fertilised eggs that don't have a clinical use or are unsuitable for implantation. An informed consent is first required by the donor. These two characteristics are explained in depth, in our "what are stem cells" article, make sure to check it out if you are unfamiliar with these two terms. For human embryonic stem cells, the total number of different cells they can differentiate into is bigger than 220. The only type of cells they can't develop into, are the ones of the placenta. As for self-renewal, ES cells have the capacity to replicate indefinitely. In other words they have the ability, under the proper conditions, to produce infinite numbers of daughter cells just from one or a few father cells. First the inner cell mass (ICM) of the blastocyst is separated from the trophectoderm. Then the cells of the ICM are placed on a plastic laboratory culture dish that contains a nutrient broth called the "culture medium". Typically the inner surface of the dish is coated with what is called a "feeder layer", consisting of reprogrammed embryonic mouse skin cells that don't divide. These mouse cells lay in the bottom of the dish and act as a support for the hESCs. The feeder layer not only provides support, but it also releases all the needed nutrients for the hESCs to grow and replicate. Recently, scientists have devised new ways for culturing hESCs without the need of a mouse feeder cell, a really important advance as there is always the danger of viruses being transmitted from the mouse cells to the human embryonic stem cells. It should be noted that the process described above isn't always successful, and many times the cells fail to replicate and/or survive. If on the other hand, the hESCs do manage to survive and multiply enough so that the dish is "full", they have to be removed and plated into several dishes. This replating and subculturing process can be done again and again for many months. This way we can get millions and millions of hESCs from the handful ones we had at the beginning. At any stage of the process, a batch of hESCs can be frozen for future use or to be sent somewhere else for further culturing and experimentation. 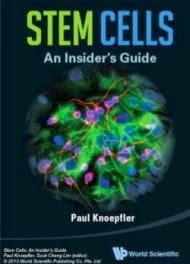 How are human embryonic stem cells induced to differentiate ? There are various options for researchers to choose from, if they decide to differentiate the cultured cells. The easiest one, is to simply allow the cells to replicate until the disc is "full". Once the disc is full, they start to clump together forming embryoid bodies (rounded collections of cells ). These embryoid bodies contain all kinds of cells including muscle, nerve, blood and heart cells. As said before, although this is easiest method to induce differentiation, it is the most inefficient and unpredictable as well. Achieving the desirable result is a trial and error process. But after what is more than a decade of experimentation, there is already a well established collection of protocols for the differentiation of hESCs into certain specialised cells. In simple words, a continuously growing list of "recipes" to choose from is established! Many researchers believe that studying hESCs is crucial for fully understanding the complex events happening during the fetal development. This knowledge would also include all the complex mechanisms that trigger undifferentiated stem cells to develop into tissues and organs. A deeper understanding of all these mechanisms would in return give scientists a deeper understanding of what sometimes goes wrong and as a result tumours,birth defects and other genetic conditions occur, thus helping them to come up with effective treatments. Several new studies also address the fact that human embryonic stem cells can be used as models for human genetic disorders that currently have no reliable model system. Two examples are the Fragile-X syndrome and Cystic fibrosis. As of now, there has been only one human clinical trial ,involving embryonic stem cells, with the official approval of the U.S. Food and Drug Administration (FDA). The trial started on January 23, 2009, and involved the transplantation of oligodendrocytes (a cell type of the brain and spinal cord) derived from human embryonic stem cells. During phase I of the trial, 8 to 10 paraplegics with fresh spinal cord injuries (two weeks or less) were supposed to participate. The clinical trial was approved, following previously published research data showing that oligodendrocytes might be effective in partially restoring mobility to people with spinal cord injuries. The trial would examine the efficacy and safety of these cells on humans with severe paralysis caused by spinal cord injuries. In August 2009, the trial was put on hold, due to concerns made by the FDA, regarding a small number of microscopic cysts found in several treated rat models. In July 30, 2010 the hold was lifted and researchers enrolled the first patient and administered him with the stem cell therapy.